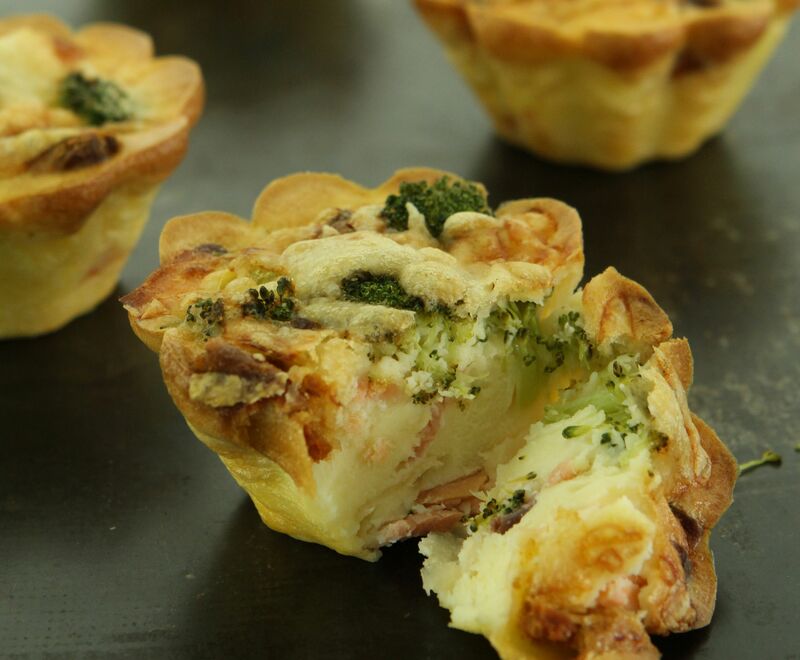 These Salmon, Broccoli, and Cheese Crackers Savoury Flan tartlets are oh-so-cute and great to serve as a starter or snack. This recipe was first published in Flavours magazine. Whisk eggs and flour until smooth. Add in milk and cream and season to taste. Divide the filling ingredients among 8 fluted brioche or muffin moulds and pour the egg batter over. Cook for 15 to 20 minutes at 180˚C or until golden brown. Serve warm or cold.